I posted here on the original judgment giving the Plantagenet Alliance permission to seek judicial review of the Secretary of State’s decision to re-bury Richard III in Leicester. At the time, the judge had made a full Protective Costs Order in favour of the Alliance, so that it would not have to pay costs if it lost. The judge had also ordered what he envisaged to be a short hearing to determine in what sum the Alliance’s costs should be capped. if it won. The judge was then somewhat surprised to be faced by a full-blown attempt by MoJ (Chris Grayling) to discharge the PCO, and seek an order for security of costs against the Alliance. The written argument in support was signed by the top barrister doing work for the Government, and the hearing about it took a day (think of the costs of that). The application was conspicuously unsuccessful, as we shall see, but what was all this about? Something to do with proposed judicial review changes, I suspect – for reasons which will become evident. On 6 September, so between the grant of the PCO in August and this hearing on 26 September, MoJ had published its consultation paper on further reforms to judicial review – closing date for consultation 1 November 2013. The consultation paper does not mince its words about things it does not like. It hates weak applications – so do we all, and reforms have been instituted on this. It does not like cases where these cases are legally aided or where the public authority bears the claimant’s costs (not usually unless the claimant wins, when it is not a weak case). Even worse is where the judicial reviews are “brought by groups who seek nothing but cheap headlines”. The last point leads to MoJ’s proposals on standing. Currently, there are relaxed rules as to standing. Courts think it better to resolve the merits of the claim that government has acted unlawfully rather than to fight about who can bring that argument – the latter a sort of courtroom equivalent of going for the man rather than the ball. The claimant is a peace activist who is opposed to the presence of UK and US armed forces in Afghanistan. The fact that she may have a wider objective in bringing her claim is, however, an irrelevance. The claim itself is brought in the public interest, with the benefit of public funding. It raises issues of real substance concerning the risk to transferees and, although the claimant’s standing to bring it was at one time in issue, the point has not been pursued by the Secretary of State. Those “issues of real substance” led to a full and thoughtful review by the Courts of the UK policy and practice in relation to the transfer to the Afghan authorities of suspected insurgents detained by UK armed forces in the course of operations in Afghanistan, and concerns expressed by the court about some aspects of this. (Ms Evans has been in the news last week – with a further successful application arising out of this case: see post here). (ii) the World Development Movement case. WDM was a “campaign organisation” who challenged a grant of overseas funding to the Government of Malaysia for the Pergau dam. But the consultation paper does not tell us what happened in that case. The Court found that the grant was unlawful, because Government did not have power to make it under the relevant statute, as the project was uneconomic. Its own Permanent Secretary had told it so in terms (for a fascinating account by the official involved, Sir Tim Lankester, of this extraordinary saga, see his book here) but for political reasons (Mrs Thatcher had promised it) the project had gone ahead. So a classic case where the executive was reminded by the court of the rule of law. So a curiosity arises, if MoJ really believes, as it says, that j.r is “a crucial check to ensure lawful public administration” – Foreword, p.1. MoJ wants to stop potentially successful claims which go to the legality of important questions, whether here or abroad. And it wants to do so by asking the judges to take their eyes off the ball (of merits) as it flies across the net, and invite controversial and expensive arguments about whether people are allowed on the tennis court in the first place. The proposals we are putting forward are, I believe, squarely in the national interest. ….the Government is concerned with the use of judicial review as a campaign tool with challenges brought by groups which do not have a direct or tangible interest in the claim. There is a degree of overlap between the issues of standing and the PCO regime. In particular, and to the extent that the standing rules permit “public interest” claims to be brought where there is no claimant with a direct or immediate interest, the Government questions whether it is right – as a PCO will provide – for the public body defendant to be required to fund its own costs of defending that case, if the claim fails. So back to this case involving a “campaigning organisation” granted a Protective Costs Order – not MoJ’s flavour of the month. The spirit of these consultation proposals found their way into MoJ’s submissions at this hearing, trying to set aside the PCO. The general rules on PCOs I have visited lately in my post on Mrs Litvinenko, and you can find a full discussion of the principles at - of Haddon-Cave J’s judgment. So I shall stick to some specific points. MoJ’s submissions faced the difficulty that the judge had already decided that the reburial issue was of general public importance, and he was unpersuaded that he had got this wrong. MoJ also argued that there was no public interest in the outcome of the judicial, just a “parochial” interest by York sympathisers driving the claim. That could be “entirely served” by it being discussed in the newspapers. ….this argument is flawed and heretical. It ignores the fundamental need for the Court to ensure that the due processes of the Common Law are adhered to. It suggests that amorphous ‘public debate’ in the Press or on the Web is somehow a substitute for the adherence by public bodies to the duty at Common Law properly to consult interested parties. It also ignores the fact that the licensee (the University of Leicester) is not a disinterested party and has a personal interest in retaining possession and control of the remains whatever views might be expressed in such a public debate. Ah, yes, this thing called the rule of law again. and it was not ‘fair or just’ that the Government should take the entire risk of defending the proceedings to grant a PCO in circumstances where the applicant had not ‘put its hand in its pocket’ and the matter was being run on the basis of CFAs. Both got a dusty answer. The grant of a PCO would depend on means. Neither the Alliance nor, its leading light ,Mr Nicolay had assets (Mr N was a self-employed gardner) and they had found it difficult even to raise the court fees of £275. And this discussion also saw the back of the application by MoJ for security for costs against the Alliance. The judge was unpersuaded by the rhetoric, to the effect that the incorporation of the company was a “device”, and the Alliance was a “busy-body”: more bluntly, he thought that such an order would simply stifle the claim – which was presumably its object. a bit like 22 August 1485. Rule 1 of consultations is that they should be conducted with an open mind. A neutral reader of the consultation paper might doubt whether that was the case here. And their views might be strengthened by looking at the arguments wheeled out in this case. Anyway, MoJ now knows what Haddon-Cave J thinks of them. Why Mrs Litvinenko did not get her PCO, but what if it had been an environmental claim? Richard III was an anointed King of England and should be given a State burial that befits this status. The Plantagenet Alliance should be applauded for their concern over his remains. Thankfully His Honour Justice Haddon-Cave is open minded enough to ensure that his mortal remains will not just be packed off to Leicester, where they can be raked over by anyone who decides they have a case for re-examining them, without due consultation. Those who care about their Country and the Kings who ruled it must see that Richard III was buried hastily on the orders of Henry Tudor who had no strong claim to the throne. Now there is a chance to right this wrong, we must not betray our poor maligned King again. I live in hope that the Judicial Review will decide that a Team of Experts should be allowed to consult upon a suitable burial place and doubt that that will be Leicester whose only argument is that as he was hastily buried there in the first place that is where he should remain. To treat a King as if he was a commoner is patently wrong. Outsider here looking in. I find the whole York campaign disturbing. Descendants of a non direct bloodline claiming to be relatives who speak for his best interests? all very bizarre and smells of a money grabbing opportunity to me. I also see their supporters attacking Leicester at every opportunity, who in my opinion have done nothing wrong. Looking at a historical slant then Richard buried his wife in Westminster, given the choice then he would of probably chosen to be buried there with her and the majority of his Plantagenet line (a few exceptions aside). York Minster (grandeur personified) on the other hand does not have a single member of his family there, no kings, no family. Why would he of chosen York in life and be buried all on his own? history writes he liked York, nothing more. The way I see this is simple. He was very fond of the North, it was a powerbase for his family in the same way the Lancastrian line was. He became King of England and did not rule from the North, he ruled like every predecessor before him, in the Palaces of London. I suspect he would of been buried in Westminster. This didn’t happen and fate put him in the heart of his Kingdom in the midlands. Leave him in Leicester where history put him, he won’t mind, its a quiet city. York grabbing over a 500 year old King for money is wrong. If he’s going to be moved then put him in Westminster or St Georges chapel. Dear Star in the sky obviously you did not take history as a subject. It saddens those that are passionate to see the King buried where he wanted to be reading of comments like yours. York has never grabbed bones or money they have enough! Please do us all a favour and stick to your science fiction.Next time have the guts not to hide behind a pseudonym name. How interesting it is to note that in any of the comments that are pro King Richard lll and York the number of thumbs down swiftly multiply! Obviously the ill informed supporters of the MoJ and Leicester are panicking! I think this is an appalling situation that the British once again showing their true colours. Not addressing the correct procedure in letting our late true king to rest in a place he loved and deserves York. Where does the British justice lie certainly not with the trumpted up Minister of Justice Chris Grayling. In what other country could this argument even happen? Not Leicester. Not York. The Abbey. In Henry VII’s Chapel (it should be called the Earl of Richmond’s Chapel, but the winners write history) with his bony finger in the socket formerly occupied by the Welsh usurper’s eye. And he’d be near his niece and not far from his wife. What could be better? Thankyou Karen Glynn for saying perfectly the whole situation. Of course King Richard lll should be buried as he wanted to be in York Minster. To keep him in Leicester is the ultimate Betrayal. Things should never have reached this stage and Grayling is typically Tudor in his outlook. It is devastating to think of King Richard’s remains still now in Leicester. We pray for Divine Intervention to bring King Richard lll, the most diabolically maligned last English king, back to York Minster which he loved and where he was, and still is, loved. Then his soul can at last be free. I don’t normally object to seeing photographs of skeletons, but the over-exposure that has been accorded to this particular one actually offends me. The original licence issued by the MoJ stated that “the ground in which the remains are interred should be screened from public gaze” suggesting that a degree of decency be observed, yet, the cameras of the world were in there from day one. Has he not suffered enough indignity already? His body exposed, naked for two days before being buried in an inadequate grave: a grave that was as far from the altar as it could be whilst denying access to it by any persons other than the friars. I would make so bold as to suggest that continued use of this photograph is actually an infringement of human rights, even though the human in question has been dead for 528 years! He was still a king of England, and should be accorded rather more dignity. How naked can you get? Couldn’t you use the facial reconstruction instead? Leicester loves Richard is a University of Leicester employee who publishes a spurious blog, libelling anyone who has any connection with the campaign and publishing erroneous facts to back up his to back up his flimsy arguments. What it comes down to is Leicester loves Richard for the amount of money that he can bring in to swell their coffers. The crux of the matter is Richard III had hardly any association with Leicester apart from his treasonous murder and basic burial in that city. Since adolescence his main connection was with Yorkshire. Richard’s only parliament put into law protections for the common man when seeking redress in the law, we should not allow these rights to be tossed aside by Grayling and the government. Medieval burial rites show how important transition from life to death was to society at that time, Richard himself had Henry VI remains removed to Windsor as being more befitting a King, he also built a chapel and was in the process of removing the dead of Towton to consecrated burial ground. Henry VII spent a fortune on his mausoleum and the sumptuous funeral for himself, contrast this with the hasty burial of Richard III , no coffin, in a grave that by all accounts was too short to accommodate his body. We now owe Richard III a re-interment and re-burial in a place he loved and where he was loved, where he worshipped and which he knew well. That place is the magnificent medieval cathedral of York Minster. Still churning up the same old cannards I see Karen. Having just spent a week in York, I saw one reference to Richard III, a small sign advertising his museum. In Leicester we have a school, roads, bridges and a statue all dedicated to him, as well as a memorial stone and exhibition. All either free of charge or donation based. Unlike the museum in York, and the minster. It is clear how much Richard is loved in Leicester, and it is also clear Leicester isn’t swelling their coffers. Oh no Karen, poor form to peddle such inaccuracies. Apologies for the off topic post, however the PA propaganda knows nor respects boundaries. Such falisities must be addressed, for the sake of fairness. You can name all the streets, schools and roads you want, but after Richard was slain at Bosworth, York in it’s city records wrote, at some risk to themselves, “King Richard late mercifully reigning upon us was, through great treason … piteously slain and murdered, to the great heaviness of this city”. Leicester’s response, they gifted Henry and his army with wine and ale. Oh, and the statue, that was paid for by the Richard III Society. So don’t talk to me of fairness and inaccuracies. As for loving Richard, I’m not sure sticking the image of his skeleton on T-shirts for the marathon counts, nor do 3 fingered salutes, neither does it include pulling apart a church and altering or discarding Sir Charles Nicholson’s work on the interior in order to shoe-horn in a rather ugly, deeply slashed hunk of stone that is neither attractive or respectful to a medieval King who died in battle. Indeed a very interesting and cogent analysis – but of a case that is far from bizarre and may prove very important in the wider area of justice. Richard III in his role as lord of the north and as king was long a champion of the rights of the common person against the powers that be – see, for example, the oft-quoted case of the illegal fish-garths on the river Ouse among many others – and I think he would be pleased that, even after 500+ years, he is at the heart of a process which hopefully will strengthen the rule of law in the face of potential political meddling. As Mr Justice Haddon-Cave stated very clearly, this is a case of genuine public interest. ‘Leicester Loves Richard’ perhaps needs to go somewhere other than Leicester for a little while and talk to some real members of the public about it, rather than people of his own town who can be bothered to comment on his blog. Far beyond Leicester and York, in my own experience in London, Surrey, even Brussels where I was last week, people are talking about King Richard III and frankly cannot understand how this shoddy situation has come about. How a city council and university (who were aware for several decades through research by members of the Richard III Society that the king was likely to be under the car park tarmac, cf. Jeremy Potter’s ‘Good King Richard?’, 1983, yet did nothing until somehow convinced of the economic benefit of doing something) can cling on to the terms of a licence which was issued for the exhumation of ‘unknown persons’ even when it has been proved that ‘beyond reasonable doubt’ those remains are of a king of all-England. Of course it’s of public interest! And that is quite apart from the several thousand members of the said Society, from all over the world, who for decades were just about the only people interested in the king and his reputation – and who have not even been formally consulted as to their views on the reburial by the Society committee because the committee believes it’s important to stay ‘neutral’ so as not to jeopardize the Society’s relations with Leicester – in case that’s where Richard is finally buried. Public interest but no real public consultation – not even of those with the longest-lasting and greatest interest. An excellent article and enlightening. I have RIII on google alert because I want to read as much as possible about all aspects of this. Personally, I think it is the King’s human rights which need protecting from an MoJ flouting his own laws by not consulting with any party other than Leicester University on the subject of his reinterment. My understanding is that the license to dig and exhume (which I don’t think anybody seriously expected) hinged on unidentifiable remains being found. That situation clearly changed with the result of the DNA analysis and as a lay person I would have thought this voided the terms of the license. 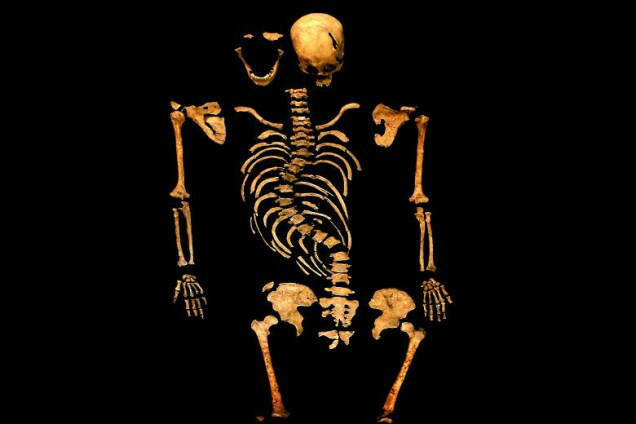 I also agree with the judge that the unprecedented find of the remains of a King of England renders this a matter of national importance, when in fact it has been treated totally as a local issue relating to Leicester. I am no legal expert; merely a humble archaeologist. If my reading of this Alliance’s case is correct (which it may not be) a judgement in their favour will make it impossible for archaeologists to excavate ancient human remains in England and Wales. This is because it will not be possible to consult all ‘interested parties’ on what will happen to human remains that are centuries or even millennia old and which as a result could have 100ks or millions of decendants. I’m an archaeologist who has bothered to read the Burial Act of 1857, under which the exhumation order sought by UoL and granted by MoJ was unlawful. The Act refers specifically to the removal of human remains from consecrated ground, and imposes a duty of consultation on next of kin *and* the appropriate religious body (which in the case of a dissolved priory would be the local Catholic diocese). While the Act obviously did not anticipate DNA profiling, its provisions remain law and whatever you think of that law, as long as it is law it must be taken into account – hence the perfectly proper grant of a judicial review. It is not every day that archaeologists dig up an English King who died in battle, the last King to do so. Get real, this is no ordinary excavation, no ordinary skeleton. King Richard deserve an appropriate resting place, in a city where he was loved. Leicester certainly isn’t it. An interesting analysis of this bizarre situation. The Plantagenet Alliance (and Justice Haddon-Cave) are playing right into Grayling’s hands by bringing the whole JR process into disrepute with this nonsense, which is why, ironically, anyone who really cares about Judicial Review should support Grayling and the MoJ against the Alliance (on the principal that my enemy’s enemy is my friend – more on my blog here: http://tinyurl.com/o5lt9zq). Elsewhere on my blog, if interested, you can read how the Judge’s claim of ‘general public importance’ is demonstrably untrue and how the supposed ‘self-employed gardener’ Stephen Nicolay is actually a business man who has been on the board of six companies in the last 14 years. I am a humble member of the public with no connection to York, yet I am interested in the result of this case. Indeed the debate regarding judicial review is also of great concern to me. It is evident across the globe and throughout time that where government seeks to control the rule of law little good ever follows. Mr Grayling should remember that the British people have fought and died to develop and protect the rule of law for a millennia. Political parties invariably only hold office to prevent a less desirable opposition claiming victory. As such their office is not given with full public support and trust but rather in the hope that they will do less damage than the other, would be emperors. It appears this government wishes to attack the foundations of British society, the values of fairness and the rule of law. Those who promote the principle that one’s enemy’s enemy is, per se, one’s friend, is a principal indicator of those with agenda but no principles.